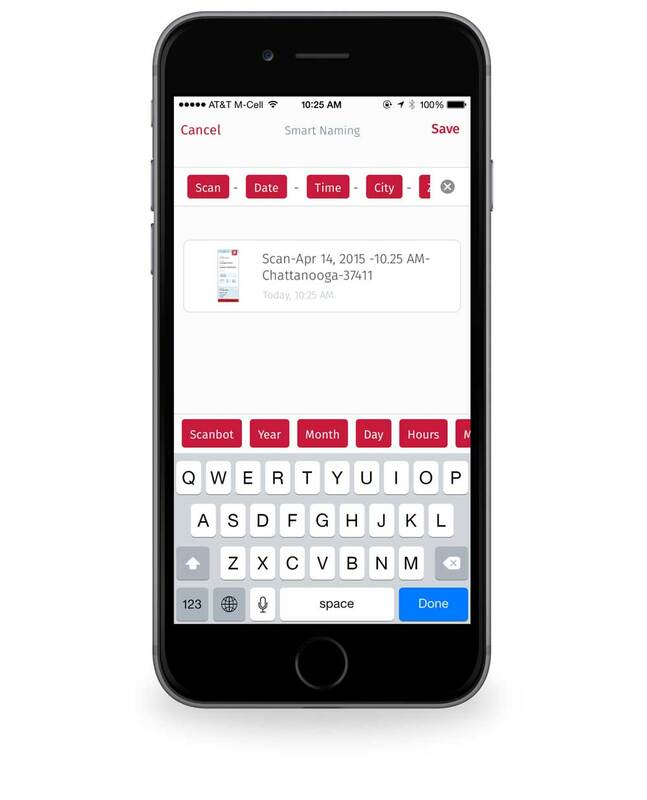 Scanbot is our recommendation for the best document scanning app for iOS. One of my favorite features is smart file naming (requires the Pro upgrade). This allows you to customize the file name that Scanbot will automatically apply to your documents. To customize your file naming rules, tap on the gear-shaped icon in the top-right corner, then scroll down to the “Name Template” option. From there you’ll be able to create your own “recipe” of sorts for how you want Scanbot to name your document scans. This can be really helpful for tracking expenses if you travel for work. You can create file names that include date and location so that you can better track where each purchase actually happened. If you pair this feature with its automatic upload to various cloud services, you can really automate your expense reports.